Did you know lithium is a naturally occurring mineral — an alkali metal — found all over the earth? The name lithium derives from the Greek word lithos, meaning stone. Traces of lithium exist in granite rock around the world, as well as in soil and water. Lithium is so plentiful in our environment that even your food contains trace amounts. Like calcium and potassium, your body requires lithium to function properly. 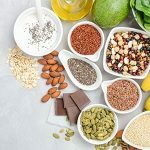 While high doses of lithium may have some associations with mental conditions, the fact is, lithium is a critically important nutrient that supports your body and brain in countless ways. This article will focus specifically on the beneficial effects of lithium for brain health. As a nutritionally-essential mineral, lithium supports brain health in several ways. 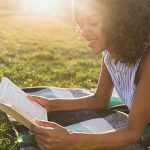 The most well-documented lithium benefits include protecting the brain, boosting gray matter, and helping the brain adapt to stress. Lithium is neuroprotective, which means that it protects nerve cells (also called neurons) against damage. When something provides neuroprotection, not only does it prevent the breakdown of cells in the central nervous system — including the brain — but it may also play a role in nerve cell regeneration and recovery. Lithium not only protects neurons (nerve cells), but it boosts brain cell regeneration. In the case of lithium, studies not only show that it protects brain cells from harm, but also that it promotes brain cell regeneration. In other words, this vital nutrient helps neurons repair themselves and grow even when they are under stress, rather than die off. Stress is a normal part of life we all occasionally experience. However, studies show that regular daily stress affects your health and well-being. Lithium is an effective tool in combating these ups and downs with resilience. It promotes your body's ability to heal itself. When you're under stress, your body not only produces more stress hormones but also increases its production of free radicals. Free radicals are unstable molecules that can damage otherwise healthy cells in your body. This damage is known as "oxidative stress." Over time, too much oxidative stress can lead to lifestyle-related diseases and premature aging. Lithium's antioxidant properties can help your body and brain counteract these free radicals. For more ways to combat stress, check out Dr. Group's Recommendations for Stress Management. Your brain's gray matter is responsible for storing memories, helping you make decisions, and perceiving the five senses (i.e., taste, smell, sight, touch, and hearing). White matter forms the deeper parts of the brain and regulates the sending of impulses throughout the brain and central nervous system. 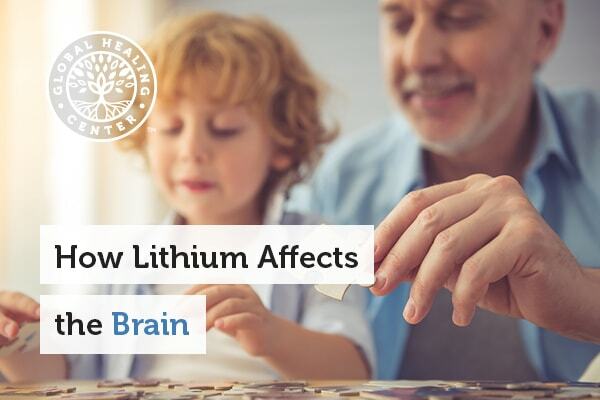 Lithium's ability to increase gray and white matter means sharper thinking skills, focus, and memory! However, one study suggested that this increase in gray matter may be an artifact of the MRI imaging, and that brain hydration may account for the larger brain volume. On the other hand, many studies have found that lithium does result in stem cells differentiating into neurons, so the jury is still out. 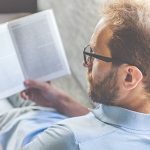 While researchers continue to seek a definitive answer as to how lithium increases the brain's gray and white matter, we know that such an increase can sharpen your cognitive abilities ("thinking skills"), help with mood management, and sharpen your focus and memory. Each nerve cell is coated with a myelin sheath. Myelin is a substance made primarily of lipid (fat) and protein. Think of myelin as the protective coating on your brain's wiring — it keeps your brain cells functioning as they should by insulating them and telling nerve impulses where they should go. Myelin helps you do important things like stay focused at work, respond quickly, and so much more. When a nerve gets damaged for any reason, including normal age-related decline, it may lose some myelin. Studies suggest that lithium may help add more myelin around your nerve cells, helping them function more effectively — otherwise known as remyelination. Remyelination is your body's way of repairing any damage done to the neurons within your brain and central nervous system. In one study, scientists gave lithium to mice that had nerve issues affecting their facial muscles; it helped myelin genes express (which helps more myelin get produced) and, as a result, mice recovered the ability to move their whiskers again. The study supports the idea that lithium boosts normal nerve cell repair and growth through remyelination. 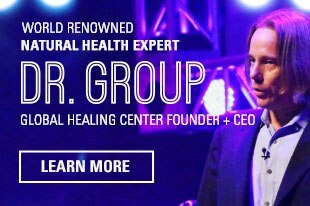 Decades of research shows that lithium has powerful mood-stabilizing properties, even in very low amounts. 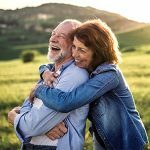 One small study found individuals who were given micro-servings of lithium over four weeks reported steadily improved mood in areas related to happiness, friendliness, and energy. The scientists concluded that low lithium levels have mood-stabilizing and mood-improving effects. Experts increasingly recognize lithium's importance to human health. The World Health Organization added it to the list of nutritionally essential trace elements, along with zinc, iodine, and others. Below are sources of this vital nutrient. Many experts consider lithium an essential nutrient with a provisional recommended daily allowance (RDA) of 1 mg (milligrams) daily for an adult weighing 70 kg (154 pounds). Slightly higher servings may help if you are trying to better manage daily stress and balance your mood. Supplements are the easiest way to incorporate lithium into your diet. Lithium orotate — lithium combined with orotic acid — is the ideal supplement form because its small size enables it to penetrate cell membranes. Because your body naturally produces orotic acid, this carrier molecule is readily broken down and processed without side effects at low amounts. Small amounts can have powerful health benefits, without the side effects that come with more. If you take multiple orotate supplements — such as magnesium orotate, calcium orotate, or zinc orotate, as well as lithium orotate — you could end up with too much orotic acid, which can cause health concerns. Animal safety studies suggest between 50 to 100 mg/kg (milligrams per kilogram) of orotic acid body weight, equivalent to 2,250 to 4,500 mg per 100 pounds of body weight, are safe. In small servings, lithium side effects are virtually non-existent. The mechanism of action for low-serving lithium is quite different from that when it is taken in higher amounts, according to a comprehensive review by Dr. Timothy Marshall. Marshall states that the lithium orotate molecule is stable in the body. Once transported inside the cell, the orotate-mineral complex dissociates, releasing the lithium to its action sites. Not only that, Marshall states that lithium's safety is comparable to low amounts of zinc and other nutrients. When taken in much larger amounts, lithium can have adverse effects on the kidneys and thyroid gland. Large servings may cause excessive thirst, nausea, hand tremors, and loss of coordination. Lithium is a natural mineral that has a therapeutic effect on the human brain. This vital nutrient is best known for its mood-stabilizing and neuroprotective benefits. In addition to boosting brain health and helping balance mood, lithium can improve your ability to focus, protect your nerve cells, and help your body adapt to stress in a healthy way. Lithium may also help prevent behaviors that lead to social isolation and unhappiness. You can find traces of lithium in your food and water supply, but to ensure you get the proper amount for optimal brain health, you can take a lithium orotate supplement. 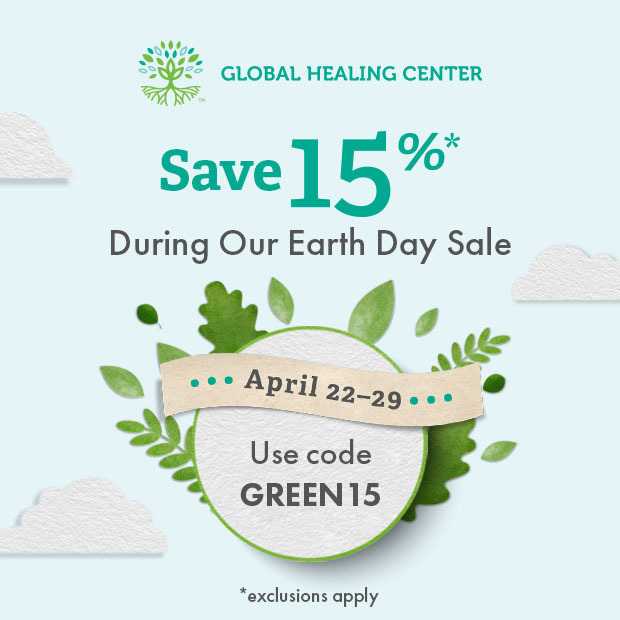 Global Healing Center’s Lithium Orotate is a naturally occurring, earth-sourced elemental mineral that supports healthy mood, brain health, emotional balance, and a healthy response to stress. 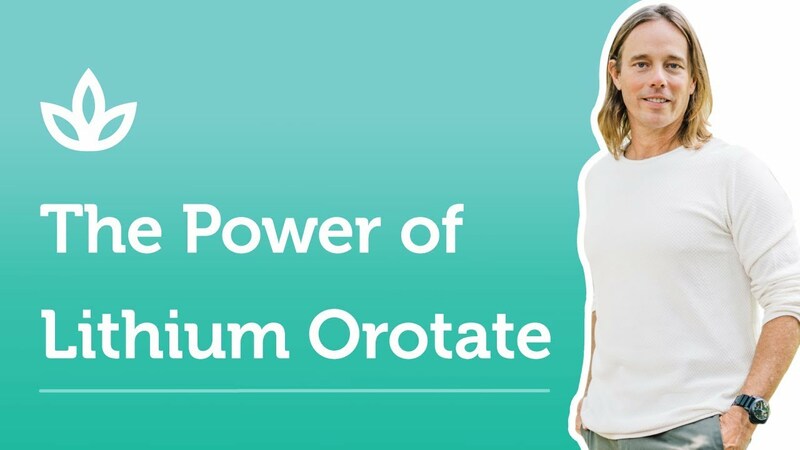 Have you tried lithium orotate? Share your experience in the comments! Vajda FJ. Neuroprotection and neurodegenerative disease. J Clin Neurosci. 2002 Jan;9(1):4-8. Forlenza OV, et al. Neuroprotective effects of lithium: implications for the treatment of Alzheimer's disease and related neurodegenerative disorders. ACS Chem Neurosci. 2014 Jun 18; 5(6):443–450. Marshall TM. Lithium as a nutrient. J American Physicians Surgeons. 2015;20(4):104–109. Liguori I, et al. Oxidative stress, aging, and diseases. Clin Interv Aging. 2018; 13:757–772. O'Leary OF, et al. Lithium-induced effects on adult hippocampal neurogenesis are topographically segregated along the dorso-ventral axis of stressed mice. Neuropharmacology. 2012 Jan;62(1):247-255. Morell P, Quarles RH. The Myelin Sheath. In: Siegel GJ, et al, eds. Basic Neurochemistry: Molecular, Cellular and Medical Aspects. 6th edition. Philadelphia, PA: Lippincott-Raven; 1999. Makoukji J, et al. Lithium enhances remyelination of peripheral nerves. Proc Natl Acad Sci U S A. 2012 Mar 6;109(10):3973-3978. Schrauzer GN, Shrestha KP. Lithium in drinking water and the incidences of crimes, suicides, and arrests related to drug addictions. Biol Trace Elem Res. 1990 May;25(2):105-113. Ohgami H, et al. Lithium levels in drinking water and risk of suicide. Br J Psychiatry. 2009;194(5):464-465. World Health Organization. Trace elements in human nutrition and health. 1996. Accessed 24 Dec 2018. Schrauzer GN. Lithium: occurrence, dietary intakes, nutritional essentiality. J Am Coll Nutr. 2002;21(1):14-21. Aguilar F, et al. Orotic acid salts as sources of orotic acid and various minerals added for nutritional purposes to food supplements. Scientific Opinion of the Panel on Food Additives and Nutrient Sources added to Food (ANS). European Food Safety Authority. The EFSA Journal (2009):1187;1-25. Gelenberg AJ, Jefferson JW. Lithium tremor. J Clin Psychiatry. 1995 Jul;56(7):283-287.